Our friends from Watchonista did a wonderful Tudor special on their website. I just received this video and photos from them that I want to share with you. It is the ‘making of’ video for one of their commercials. Tudor is the cool sub-brand of Rolex that until a few years ago, really was a sub-brand of Rolex. They are stepping up and showing their muscles. With their Heritage Black Bay, Heritage Chronograph and Pelagos (read my review on this watch here) they are really out there. No one can deny. The end result can be viewed on YouTube, click here. Besides this video, I also received some watchmaking pictures of the Tudor Heritage Black Bay. 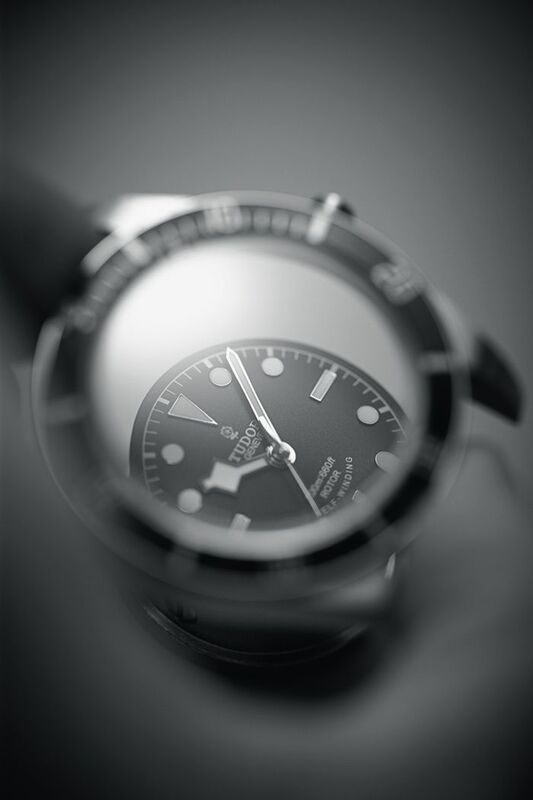 This watch is their tribute to the long and rich history of the company’s diving watches. It is actually based on a 1954 model (ref. 7922) they had until the 1980s. Of course, during the decades, this watch had some iterations that always made it up to date. These watches are now quite collectible, we’ve found a 1957 ref.7922 for sale for approx. $55K USD (click here). Vintage watches are hot, but not everyone is willing to take the risks that come with purchasing one. With these Heritage watches from the Tudor collection, you will be certain that there are no surprises. A cool looking watch with ‘vintage ingredients’ and modern watchmaking quality. Click here for the Tudor page over at Watchonista for more information about the brand and their watches.